This process is something I begin to pray over and seek discernment on in November. Then around mid-December I take pen to paper and get to work on this process with my Powersheets. I typically finish this process in early to mid January. A pattern is always revealed as I funnel through revelations at the Well, lessons God taught me (or is still teasing out), and areas that need tending. We thankfully have a faithful Father who cannot help Himself but to be unfailingly faithful. So, if you're new to this process or skeptical of choosing a word of the year, let me encourage you: God delights in us with songs of deliverance. He desires to partner with us in the daily routine. If you ask Him to provide a word, He will. It's that simple. But to get to that word, you've got to clear the mental clutter. 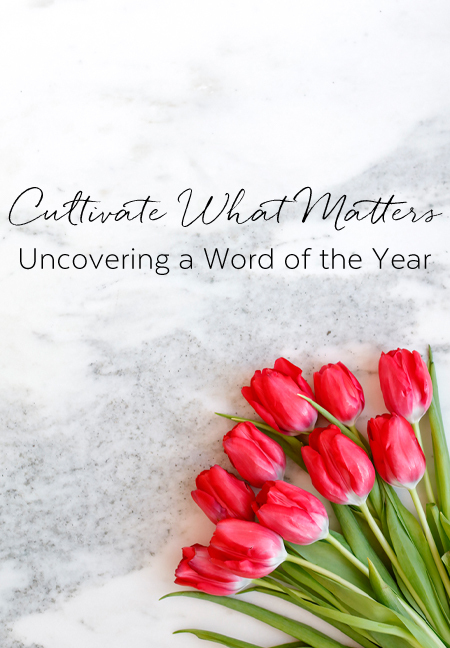 Here are a few simple steps I take to uncover of my word of the year in step with the Spirit. 1. What's the purpose in all of this? What matters most to me? Preparing well for the generations to come. 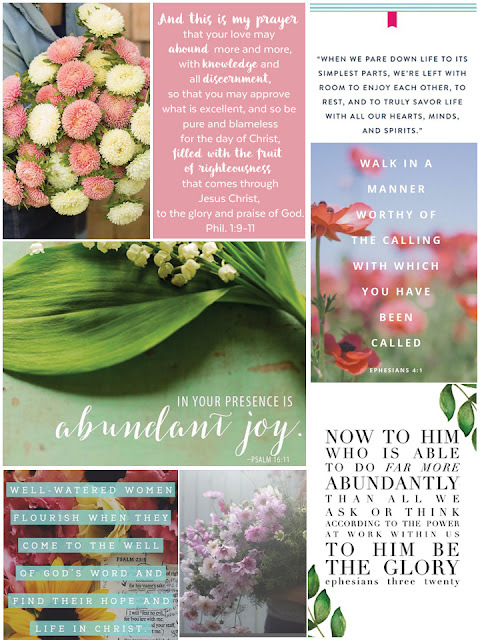 Cultivating a legacy rooted in eternal hope, joy and peace. One where people are seen, known and loved. A life-giving home whose heartbeat is a rhythm of gratitude and tradition. A home where we have permission to be wholeheartedly ourselves. A refuge for roots to strengthen, grow and flourish. Loving others and myself well in every season. In this season, my most purposeful year looks like embracing the abundant life Christ came and died for. Abundance for my life isn't defined by that of the world but by the Gospel. It looks like planting seeds of things that will last longer than me. Cultivating gratitude, delighting in the meaningful mundane, giving of myself and my blessings sacrificially and making much of the Gospel through the power of the Spirit. Success isn't striving for the next best thing, but being fully present right where God intends me to be, doing what He's called me to do with a joyful heart. Simply put: Abiding in Him as He abides in me. I start this process each year with a Pinterest board. Then slowly comb through the board to bring those photos to my Powersheets. This big picture brings to life what God has placed on my heart for the year ahead. When goal setting gets hard I return to these responses for quick reference. Without fail, there will be a day, week or month that I need to remember where to begin or why I should keep going. As a gal who all to easily finds herself striving to earn God's approval, it serves me well to be reminded of the purpose behind cultivating what matters. Because it's not about earning God's approval. I already have his full approval. It's about knowing Him more, leaning into those things that matter most to me, and pursuing success through the lens of the Gospel for His glory and my joy. And when I've teased all this out with Him in prayer, a word has usually revealed itself much like it did as this year's big picture came together. My word of the year and how God brought it to the forefront coming later this week.